Catchy title huh? 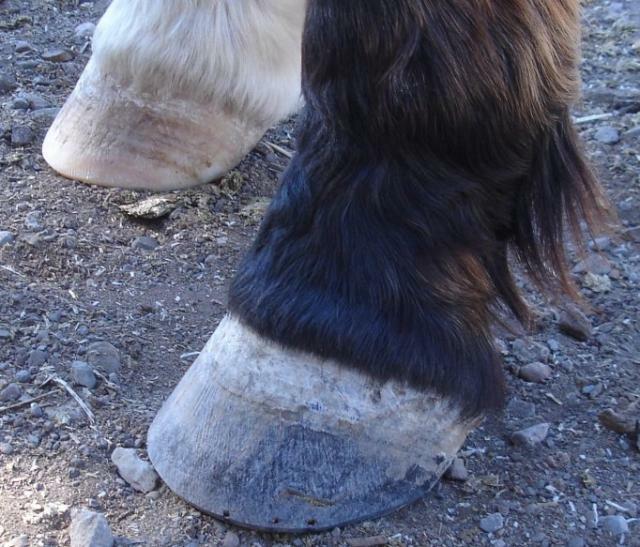 Let me explain how we are going to make this work: here in the Southwest (New Mexico and Arizona), the average price for a shoeing is around $90, a trim around $50. 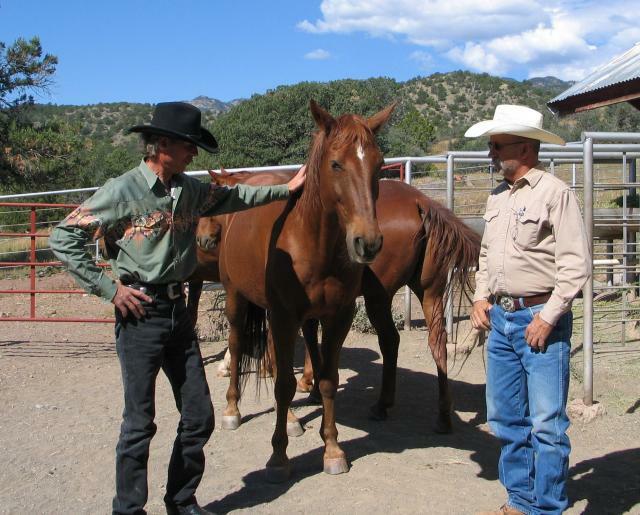 Let’s say your local Forest Service district has eight animals: horses, mules and in some cases a few donkeys. 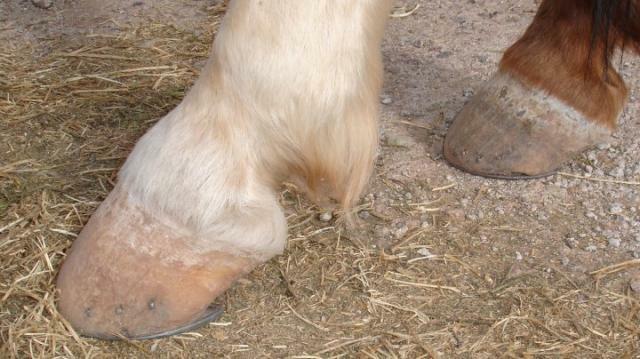 These animals are shod on average every eight weeks. Let’s call the first four to six months a wash, since a proper trim needs to be applied every four to six weeks and we have to supply a pair of boots. After the transition period, however, we should be trimming every ten to twelve weeks. Projecting out, we find that over the next 12 months, the savings amount to about $350 dollars per animal, times eight makes $2,800 per year per district, times 45 (the approximate number of districts in the Southwest region) makes for $126,000 in savings per year. Alright, enough about figures. Bottom line: it’s all about the horses. 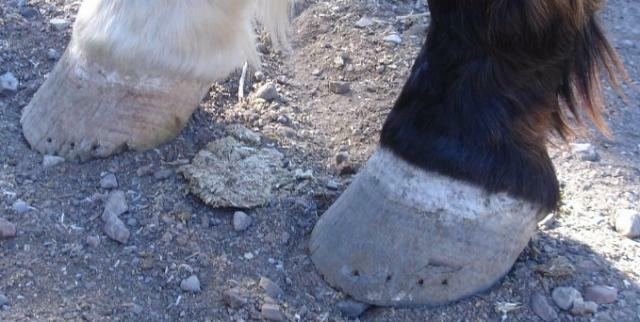 By way of introduction: I used to shoe horses in New Mexico up until about seven years ago when I made the switch to natural hoof care. As a horse lover I do what I do for the sake, health and well being of these noblest of creatures. Unfortunately, there are no twelve step programs for people like me: we’re on our own. I tried for a number of years to get a (booted) foot in the door with the local Forest Service districts. Having ridden with them on a few occasions I knew there was work to be done. 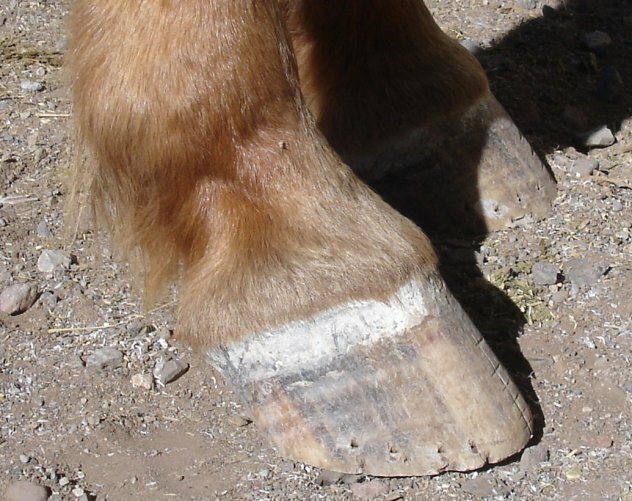 As some of you know: it’s tough enough here in the Southwest to convince a rancher or cowboy to go the barefoot route. A governmental agency is a whole different story altogether. Last winter, I was given the chance with a few of the districts here and so I went to work. The general consensus, of course, was that it couldn’t be done. Be aware that we ride on granite here throughout the Gila Wilderness. I knew that the initial skepticism would give way to acceptance and recognition, provided I could transition their stock properly. 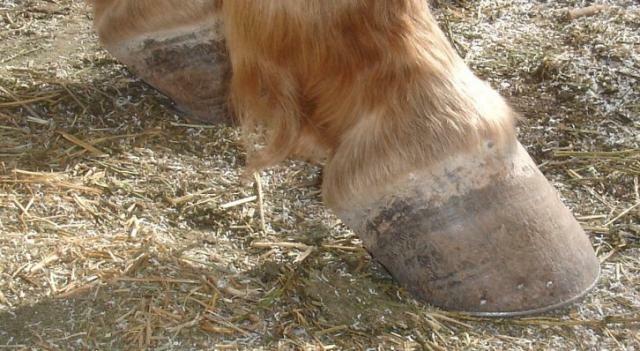 To start, most horses were on stilts, meaning hoof capsules twice as long as what they should be, lots of side bone, deformed capsules, cracks, laminitic grooves, traces of founder and rotation: nothing unusual. The nice thing about these service animals is that they get most of the winter months off, so the initial transition period was to be easy on them and gave them time to heal up some before spring. The second trim was applied four weeks after the first one, then six weeks, then we were able to go a full eight weeks and now we are on a ten to 12 week trim cycle in two districts. 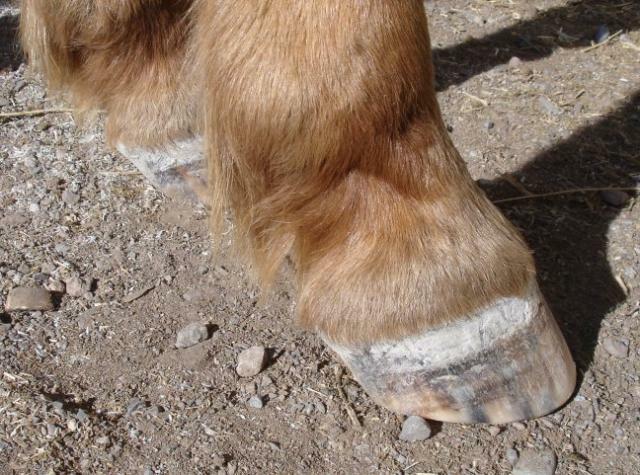 Some of these horses have logged between 200 and 400 miles over the summer months, no boots anymore either during the latter stage. I knew I had believers after the first three or four months since each and every one of those stock managers invited me over to their home to start their personal horses barefoot as well. Then a few of their neighbors started asking questions. Well there you have it: if you want to grow your business and help out a bunch of horses badly in need: go talk to your local Forest Service rangers and stock managers. Winter is coming real soon. Set up a meeting where you’ll find that three or four people will attend, sometimes even their local farrier. Prepare a solid outline and make sure to have concise written material with pictures to leave them with after your presentation. Don’t forget to take a pair of Boa Boots as well as Trail Boots with you: show and tell has never looked this good. Below are before and after pictures of three of the Black Range district horses. 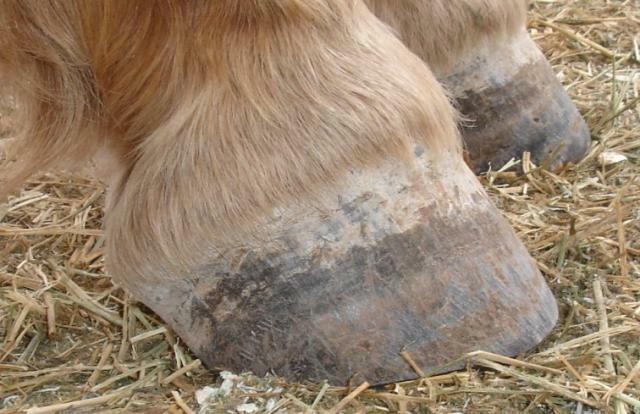 Hint: equine feet will adapt to the terrain they live/work on and the workload they are subjected to. Nature proves this time and again and shows us great examples to follow. All we really need to do is help out a bit in the beginning and during the transition period. 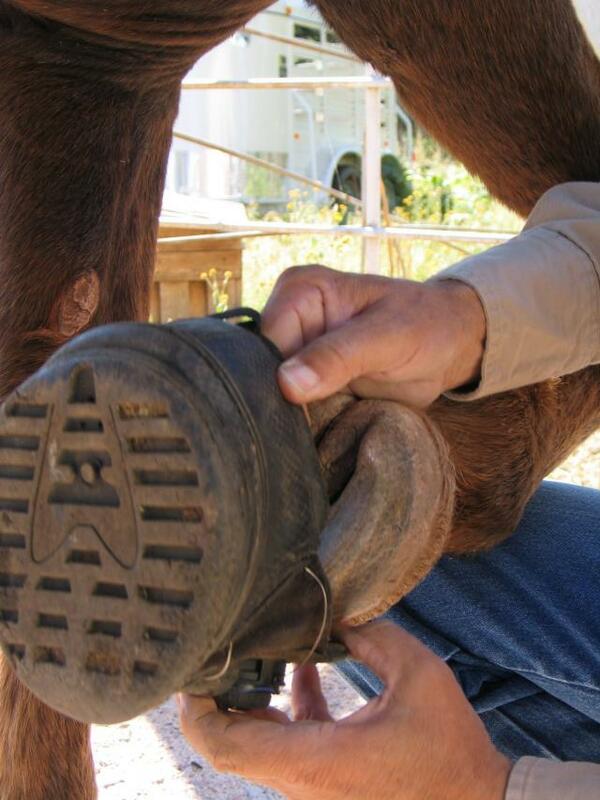 Thanks to EasyCare we have the means to what we do: the Boa Boots and now the new Trail Boots are tools we need. My heartfelt thanks go out to Jaime, Pete, Tom and a few other pioneers in the natural foot care movement who have willingly given us the means to do the necessary research and due diligence, shared their knowledge and expertise, thus enabling us to educate ourselves and hone and perfect our craft. It is not an exact science after all: it is an art. Horses remain our best teachers since they are all different and require a unique approach; it truly is a spectacular journey!